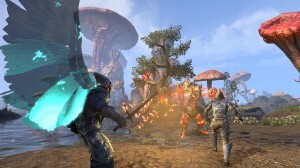 Warden is ESO’s first new class since launch. 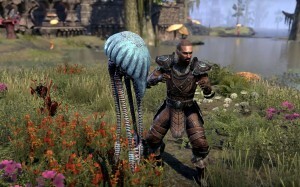 Introduced to Elder Scrolls Online in Morrowind update, The Warden is a nature-based class capable of filling all party roles: healing, tanking and dealing damage. 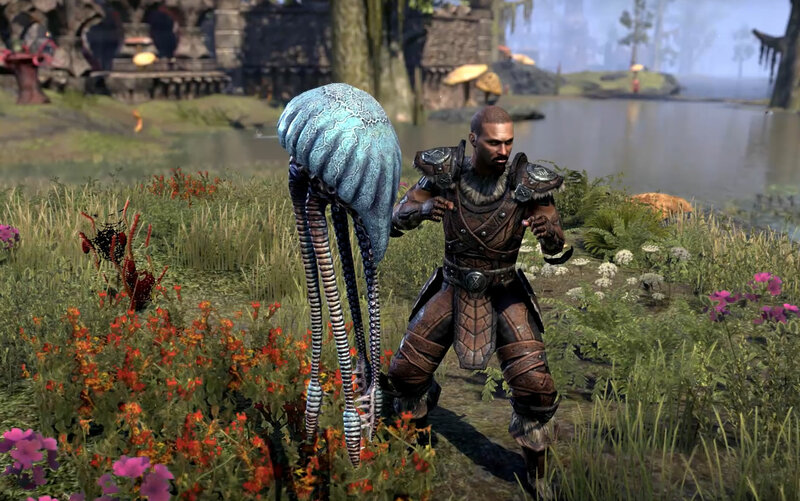 This ESO Warden class guide will give you a brief rundown of abilities and spells, as well as gameplay tips, combat tricks, and a list of popular Warden builds for different playstyles and party roles. Are Wardens hard to play? Warden has three skill trees: Animal Companions, Green Balance, and Winter’s Embrace. Animal Companions skill line is for damage-dealers. Green Balance is the healing skill line, while Winter’s Embrace is aimed at tanking and protecting with shields and buffs. Table above is only a basic overview of specific gameplay styles or party roles. See below for exact abilities in each of these skill trees, including passives and morphs. 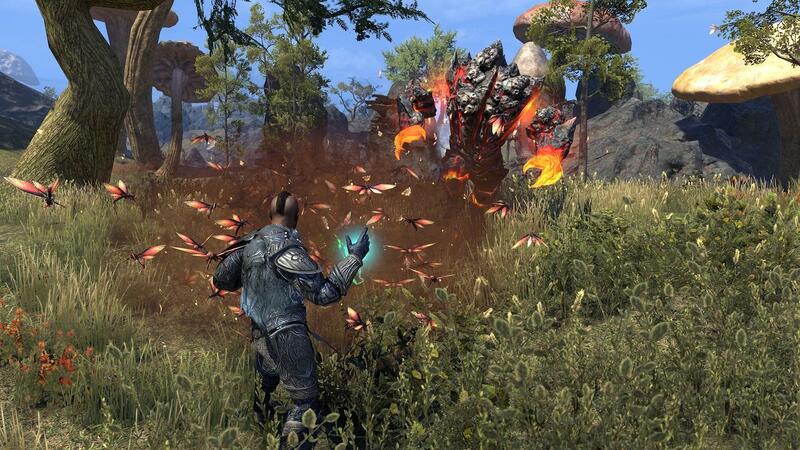 With Animal Companions, your Warden can summon powerful creatures to provide aid and assault the enemy. If you’re looking to harass your foes with screeching Cliff Racers via the Dive ability or sustain your attack with the help of the adorable Betty Netch, Animal Companions is for you. Dive – Command a Cliff Racer to dive bomb the enemy, dealing Magic Damage. Cutting Dive - Command a Cliff Racer to dive bomb the enemy, dealing Physical Damage. Costs Stamina instead of Magicka. Screaming Cliff Racer - Command a Cliff Racer to dive bomb the enemy, dealing Magic Damage. Deal up to 15% increased damage to enemies at longer range. Scorch – Stir a group of Shalk that attack after 3 seconds. Dealing Magic Damage to up to 6 enemies in an area 20×7 meters in front of you. Deep Fissure – Stir a group of Shalk that attack after 3 seconds. Dealing Magic Damage to up to 6 enemies in an area 20×7 meters in front of you. An eruption stuns one enemy for 3 seconds. Subterranean Assault - Stir a group of Shalk that attack after 3 seconds. Dealing Poison Damage to up to 6 enemies in an area 20×7 meters in front of you. Enemies damaged are afflicted with Major Breach and Major Fracture, reducing their Spell Resistance and Physical Resistance for 10 seconds. Costs Stamina instead of Magicka. Swarm – Unleash a swarm of Fetcherflies to relentlessly attack an enemy, dealing Magic Damage over 10 seconds. Fletcher Infection – Unleash a swarm of Fetcherflies to relentlessly attack an enemy, dealing Magic Damage over 10 seconds. Every other cast deals 75% additional damage. Growing Swarm – Unleash a swarm of Fetcherflies to relentlessly attack an enemy, dealing Magic Damage over 10 seconds. When ability ends, fetcherflies infect up to 6 new targets within 10 meters. Betty Netch - Call a Betty Netch that restores Magicka over 22 seconds. Gain Major Sorcery, increasing Spell Damage by 20% over 24 seconds. This ability has no cost. Blue Betty - Call a Betty Netch that restores Magicka over 25 seconds. Gain Major Sorcery, increasing Spell Damage by 20% over 27 seconds. When activated, removes 1 negative effect. This ability has no cost. Bull Netch – Call a Bull Netch that restores Stamina over 25 seconds. Grants Major Brutality, increasing weapon damage by 20% over 27 seconds, and Major Sorcery, increasing Spell Damage by 20% over 27 seconds. This ability has no cost. Falcon’s Swiftness – Invoke the spirit of agility to gain Major Expedition, increasing movement speed by 30% for 10 seconds an Major Endurance, increasing stamina recovery by 20% for 10 seconds. Bird of Prey – Invoke the spirit of agility to gain Major Expedition, increasing movement speed by 30% for 10 seconds an Major Endurance, increasing stamina recovery by 20% for 10 seconds. Gain minor Berserk, increasing damage done by 8% over 10 seconds. Deceptive Predator - Invoke the spirit of agility to gain Major Expedition, increasing movement speed by 30% for 10 seconds an Major Endurance, increasing stamina recovery by 20% for 10 seconds. Gain Minor Evasion, increasing dodge chance by 5% for 10 seconds. 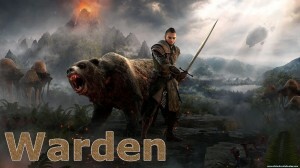 Feral Guardian – Rouse a loyal grizzly to fight at your side. The grizzly’s swipe deals Magic Damage. Once summoned, you can activate Guardian’s Wrath for 75 ultimate. Causes Magic Damage and deals 100% additional damage to targets under 25% health. The grizzly’s attacks do an additional 12% damage. Wild Guardian - Rouse a loyal grizzly to fight at your side. The grizzly’s swipe deals Physical Damage. Once summoned, you can activate Guardian’s Savagery for 75 ultimate. Causes Physical Damage and deals 100% additional damage to targets under 25% health. The grizzly’s attacks do an additional 21% damage. Eternal Guardian - Rouse a loyal grizzly to fight at your side. The grizzly’s swipe deals Magic Damage. When killed the bear will automatically respawn, with a cooldown of 1 minute. Once summoned, you can activate Guardian’s Wrath for 75 ultimate. Causes Magic Damage and deals 100% additional damage to targets under 25% health. The grizzly’s attacks do an additional 21% damage. Unlike timed spirit creatures you summon with other skills, Wild Guardian sticks with you until death. Bond With Nature – When one of your animal companions is killed or unsummoned, you are restored Health. Savage Beast – Damaging an enemy with an Animal Companions ability grants 4 Ultimate. This effect has a cooldown of 8 seconds. Flourish – Increases your Magicka and Stamina recovery by 12% if an Animal Companions ability is slotted. Advanced Species – Increases your damage of Animal Companions abilities by 2% for each Animal Companion ability slotted. When using Green Balance, your Warden draws healing and protective boons from nature itself. Green Balance is perfect if you are interested in keeping all your teammates alive with the fast-blooming plants of the Healing Seed ability or helping your tank stand toe-to-toe with the enemy via Living Vines. Fungal Growth – Seed a large area of mushrooms that heals you and six allies in your frontal cone with a 20-meter radius and 60-degree angle. Enchanted Growth – Seed a large area of mushrooms that heals you and six allies in your frontal cone with a 20-meter radius and 60-degree angle. Allies affected gain Minor Intellect and Minor Endurance, increasing Magicka and Stamina regeneration by 10% for 20 seconds. Soothing Spores – Seed a large area of mushrooms that heals you and six allies in your frontal cone with a 20-meter radius and 60-degree angle. If healing an ally less than 8m away, it is 15% stronger. Ability Scales off max Stamina and Weapon Damage. Costs Stamina instead of Magicka. Healing Seed – Summon a field of flowers which blooms after 6 seconds, healing 6 targets in the area with an 8-meter radius and 28-meter range. Only 1 field may be active at a time. Allies may activate the Healing Seed synergy to heal over 5 seconds. 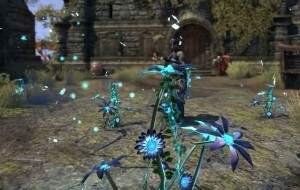 Corrupting Pollen – Summon a field of flowers which blooms after 6 seconds, healing 6 targets in the area with an 8-meter radius and 28-meter range. Only 1 field may be active at a time. Afflict enemies who enter the field with Major Defile, reducing healing received by 37% for 4 seconds. Allies may activate the synergy to heal over 5 seconds. Budding Seeds – Summon a field of flowers which blooms after 6 seconds, healing 6 targets in the area with an 8-meter radius and 28-meter range. Only 1 field may be active at a time. While the field grows, you can activate this ability to make the bloom instant. Allies may activate the synergy to heal over 5 seconds. Living Vines – Grow vines to embrace you or the lowest health ally in front of you within a 28×12-meter radius for 10 seconds. The vines heal the target each time they take damage. This effect can occur once every 1 second. Leeching Vines – Grow vines to embrace you or the lowest health ally in front of you within a 28×12-meter radius for 10 seconds. The vines heal the target each time they take damage. This effect can occur once every 1 second. The vines apply Minor Lifesteal to enemies that damage the target for 10 seconds, healing you and your allies every 1 second when damaging that enemy. Living Trellis – Grow vines to embrace you or the lowest health ally in front of you within a 28×12-meter radius for 10 seconds. The vines heal the target each time they take damage. This effect can occur once every 1 second. When the vines expire, they heal the target an additional amount. Lotus Flower – Embrace the lotus blessing, causing Light Attack to restore Health and your Heavy Attack to restore Health to you or a nearby ally within 12 meters for 17 seconds. Green Lotus – Embrace the lotus blessing, causing Light Attack to restore Health and your Heavy Attack to restore Health to you or a nearby ally within 12 meters for 20 seconds. Caster gains Major Savagery, increasing Weapon Critical for 20 seconds. Lotus Blossom – Embrace the lotus blessing, causing Light Attack to restore Health and your Heavy Attack to restore Health to you or a nearby ally within 12 meters for 20 seconds. Caster gains Major Prophecy, increasing Spell Critical for 20 seconds. Nature’s Grasp – Swing up to 22 meters to targeted ally, healing them over 10 seconds. Nature’s Embrace – Swing up to 22 meters to targeted ally, healing you and them over 10 seconds. Bursting Vines – Swing up to 22 meters to targeted ally, instantly healing them. Secluded Grove – Instantly swell a healing forest around you or an ally within an 8-meter radius and 28 meter range, restoring health to 6 targets. The forest continues to heal you and all allies in the area every 1 second over 6 seconds. Healing Thicket – Instantly swell a healing forest around you or an ally within an 8-meter radius and 28 meter range, restoring health to 6 targets. The forest continues to heal you and all allies in the area every 1 second over 6 seconds. When effect ends, allies continue to receive healing over 4 seconds. Enchanted Forest – Instantly swell a healing forest around you or an ally within an 8-meter radius and 28 meter range, restoring health to 6 targets. The forest continues to heal you and all allies in the area every 1 second over 6 seconds. Gain 20 Ultimate if healing an ally under 50% Health. Secluded Grove ability sees trees slowly grow in a circle around you for huge rejuvenating heals to you and your allies. It’s a must-have spell for any self-respecting Warden healer. Accelerated Growth – When healing you or an ally under 50% Health with a Green Balance ability gain Major Mending, increasing your healing done by 25% for 6 seconds. Nature’s Gift – When healing with a Green Balance ability, gain Magicka or Stamina. Restores your lowest resource pool. Emerald Moss – Increase Healing Done for Green Balance abilities by 2% for each Green Balance ability slotted. Maturation – When healing you or an ally with a Green Balance ability, grant them Minor Toughness, which increases Max Health by 10% for 20 seconds. With Winter’s Embrace, your Warden manipulates the cold to create defensive barriers and shields. This skill line helps you weather your enemies’ blows with abilities such as Frost Cloak or Crystallized Shield and even allows you to heal yourself via Arctic Wind. Frost Cloak – Wrap a thick cloak of ice around you and nearby allies within a 28-meter radius. 6 targets gain Major Resolve, increasing Physical Resistance, and Major Ward, increasing Spell Resistance for 21 seconds. Expansive Frost Cloak – Wrap a thick cloak of ice around you and nearby allies within a 28-meter radius. 6 targets gain Major Resolve, increasing Physical Resistance, and Major Ward, increasing Spell Resistance for 24 seconds. Lower Magicka cost. Ice Fortress – Wrap a thick cloak of ice around you and nearby allies within a 28-meter radius. 6 targets gain Major Resolve, increasing Physical Resistance, and Major Ward, increasing Spell Resistance for 24 seconds. You gain Minor Protection, reducing incoming damage by 8% for 24 seconds. Arctic Wind – Envelop yourself in winter winds, healing for 10% of max Health instantly and an additional 2% Health every 2 seconds over 10 seconds. Polar Wind – Envelop yourself in winter winds, healing for 10% of max Health instantly and an additional 2% Health every 2 seconds over 10 seconds. Heals a nearby ally within 8 meters for 10% of your Max Health. Arctic Blast – Envelop yourself in winter winds, healing for 10% of max Health instantly and an additional 2% Health every 2 seconds over 10 seconds. Enemies in the area will take Frost Damage every 2 seconds over 10 seconds. Impaling Shards – Skewer enemies with icy shards in a 6-meter radius, dealing Frost Damage in the area to 6 targets every second over 12 seconds and reducing Movement Speed by 30% for 3 seconds. Damage done is based on your Max Health. Gripping Shards – Skewer enemies with icy shards in a 6-meter radius, dealing Frost Damage in the area to 6 targets every second over 12 seconds and reducing Movement Speed by 30% for 3 seconds. Damage done is based on your Max Health. On cast, enemies in the area also become immobilized for 3 seconds. Winter’s Revenge – Skewer enemies with icy shards in a 6-meter radius, dealing Frost Damage in an area within 28 meters to 6 targets every second over 12 seconds and reducing Movement Speed by 30% for 3 seconds. Damage done is based on your Max Health. Lower Magicka cost. Crystallized Shield – Spin a shield of ice around you to absorb projectiles. Each absorb restores Magicka. Shield breaks after 3 projectiles. Crystallized Slab – Spin a shield of ice around you to absorb projectiles. Each absorb restores Magicka. Shield breaks after 3 projectiles. On each successful absorption, a projectile is sent back to the enemy up to 28 meters away for Frost Damage. Shimmering Shield – Spin a shield of ice around you to absorb projectiles. Each absorb restores Magicka. Shield breaks after 3 projectiles. On each successful absorb, you gain Major Heroism, increasing Ultimate gain by 3 every 1.5 seconds for 6 seconds. Frozen Gate – Summon an ancient portal up to 28 meters away with a 5-meter radius. Enemies that run over it are teleported to you and rooted for 3 seconds. You can only have 1 portal at a time and it is removed upon activation. Frozen Device – Summon an ancient portal up to 28 meters away with a 5-meter radius.. Enemies that run over it are teleported to you and rooted for 3 seconds. You can only have 1 portal at a time and it is removed upon activation. Teleported enemy is afflicted with Major Maim, reducing their damage by 30% for 4 seconds. Frozen Retreat – Summon an ancient portal up to 28 meters away with a 5-meter radius. Enemies that run over it are teleported to you and rooted for 2 seconds. You can only have 1 portal at a time and it is removed upon activation. An ally can activate the Frozen Retreat synergy to move to you. Sleet Storm – Twist a violent storm around you in a 10-meter radius, causing 6 targets to take Frost Damage every 1 second for 8 seconds and have their Movement Speed reduced by 70%. Nearby allies gain Major Protection, reducing incoming Damage by 30%. Northern Storm – Twist a violent storm around you in a 10-meter radius, causing 6 targets to take Frost Damage every 1 second for 8 seconds and have their Movement Speed reduced by 70%. Nearby allies gain Major Protection, reducing incoming Damage by 30%. While slotted your Max Magicka is increased by 8%. Permafrost – Twist a violent storm around you in a 10-meter radius, causing 6 targets to take Frost Damage every 1 second for 8 seconds and have their Movement Speed reduced by 70%. Nearby allies gain Major Protection, reducing incoming Damage by 30%. Enemies damaged 3 times are stunned for 3 seconds. Sleet Storm covers a large area and protects any party members within the radius. It’s a perfect way to start a boss fight. Sleet Storm also deals spikes of damage on enemies in the blast zone, so it can be used to clear enemies or draw threat. Glacial Presence – Increase chance of applying Chilled to enemies with Winter’s Embrace abilities by 200%. Frozen Armor – Increases your Physical and Spell Resistance by 500 for each Winter’s Embrace ability slotted. Ice Aura – Reduce the effectiveness of snares applied to you by 15%. Piercing Cold – Increases your Physical and Frost Damage by 6%. Class builds for Wardens fall into three categories: healing, DPS (damage dealing) or tanking. Below are a few most popular damage dealing Warden builds. This is a magicka-based Destruction staff build for Wardens. 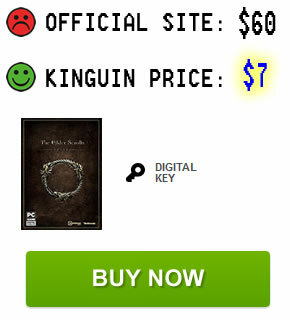 Recommended for endgame content like Trials, Dungeons and Arena. Unless mentioned otherwise all skills are from Warden’s class skill trees. Bar 1: Destructive Clench (Destruction Staff), Deep Fissure, Screaming Cliff Racer, Lotus Blossom, Inner Light (Mages Guild), Northern Storm. Bar 2: Elemental Blockade (Destruction Staff), Winter’s Revenge, Harness Magicka (Light Armor), Fetcher Infection, Blue Betty, Elemental Rage (Destruction Staff). 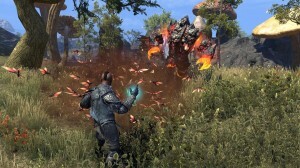 Recommended mundus stones are Thief or Shadow for increased spell critical or increased critical damage. Items sets you should use are Necropotence and Moondancer, for increased maximum magicka or two mundus stone buffs. Alternatively you can also have head, shoulders, and weapons from Julianos item set. Bar 1: Endless Hail (Bow), Shimmering Shield, Cutting Dive, Green Lotus, Subterranean Assault, Wild Guardian. Bar 2: Poison Injection (Bow), Bombard (Bow), Bull Netch, Razor Caltrops (Assault), Lightweight Beast Trap (Fighters Guild), Wild Guardian. Thief is the best mundus stone buff, increasing your weapon critical. Best item sets for Bow builds are Twice Fanged Serpent and Vicious Serpent, both from Trials. Alternatively you can use Automaton set obtained from Darkshade Caverns, or craft Hunding’s Rage or Night Mother’s Gaze. This build needs further testing, but feel free to experiment with it if you like. Bar 2: Arctic Blast, Ice Fortress, Bull Netch, Bird of Prey, Permafrost. This stamina based build uses dual wield setup on one action bar, and bow on second. Bar 1 (Dual Wield): Rending Slashes (Dual Wield), Deadly Cloak (Dual Wield), Rapid Strikes (Dual Wield), Subterranean Assault, Green Lotus, Flawless Dawnbreaker. Bar 2 (Bow): Endless Hail (Bow), Rearming Trap (Fighters Guild), Anti-Cavalry Caltrops (Assault), Poison Injection (Bow), Bull Netch, Permafrost. Items sets you should have are Hunding’s Rage and Night Mothers Gaze, assuming you don’t yet have access to best gear from Trials. Bar 1: Blue Betty, Healing Springs (Restoration Staff), Healing Ward (Restoration Staff), Combat Prayer (Restoration Staff), Inner Light (Mages Guild), Northern Storm. Bar 2: Enchanted Growth, Budding Seeds, Elemental Blockade (Destruction Staff), Elemental Drain (Destruction Staff), Energy Orb (Undaunted), Aggressive Horn (Assault). Bar 1 uses a restoration staff, but second bar uses destruction staff (shock). Alternative abilities you can use include Purge for cleansing debuffs, Mutagen for extra healing, or Harness Magicka for shields. Thief and Attronarch are the top two mundus stone buffs. Best healing item sets include Wormcult and Spell Power Cure as top two, followed by Healing Mage, Sanctuary and Kagrenac’s Hope. You can use Willpower item set for jewelry, and Torug’s Pact for weapons. Torug’s Pact and Kagrenac’s Hope are craftable sets, but others are obtained via drops from dungeons or trials. This is an optimal Warden tank build. Bar 1: Absorb Magic (One Hand and Shield), Heroic Slash (One Hand and Shield), Pierce Armor (One Hand and Shield), Bull Netch, Polar Wind, Healing Thicket. Bar 2: Shimmering Shield, Ice Fortress, Subterranean Assault, Leeching Vines, Inner Rage (Undaunted), Aggressive Horn (Assault). Best item sets for Warden tanking are Plague Doctor and Ebon Armory. Wardens are essentially spellcasters, so increased focus on magicka is clearly preferred. Races with most useful racial traits for Warden class include High Elves, Bretons, Redguards, Orcs, Nords, and Dark Elves. Above are some of the better race choices for Warden players, but I’d always recommend you to prioritize any race you like either visually or lore-wise. Argonians and Wood Elves have almost no magicka or spell damage benefits so if you’re looking to optimize everything I’d recommend avoiding those races. My top recommendation for any spellcaster are Bretons. Their reduction on magicka costs on all spells is equally useful for all Warden builds. See my racial bonuses comparison for a more detailed overview and recommendations on best class/race combos! Wardens are focused on magicka use, therefore most of their attribute points are usually placed into magicka. Increasing your magicka pool enables you to cast more spells which is equally important for healers, tanks, and most damage dealers. 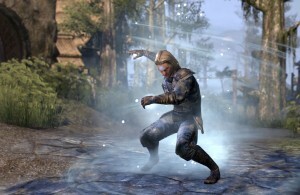 While ESO’s combat requires some stamina for every class and build for blocking, dodging or interrupting, many Warden builds don’t use any significant amount of stamina for spells. Of course it is possible to be a tank, but in case of tank Warden builds majority of stamina is gained via equipment rather than attributes. Same for stamina DPS builds, dual wielding or bow. Nevertheless character attributes are easy and relatively inexpensive to change, so feel free to experiment with a variety of attribute allocations if needed. For most builds Wardens will spend anywhere from 20-40 attribute points in magicka, with the rest of the points put into health. Warden items greatly depend on your build. Best tanking item sets: Plague Doctor and Ebon Armory. Best magicka DPS items: Necropotence, Moondancer, Julianos. Best stamina DPS item sets: Twice Fanged Serpent, Vicious Serpent, Automaton, Hunding’s Rage, Night Mother’s Gaze. Best healing item sets: Wormcult and Spell Power Cure are best, followed by Healing Mage, Sanctuary and Kagrenac’s Hope. Below are a select few videos to introduce you to ESO’s Warden class! These guardians of the wilds protect Nirn with a host of unique, nature-based abilities. Watch the Warden Gameplay Trailer for a look at the kind of hero you can become. 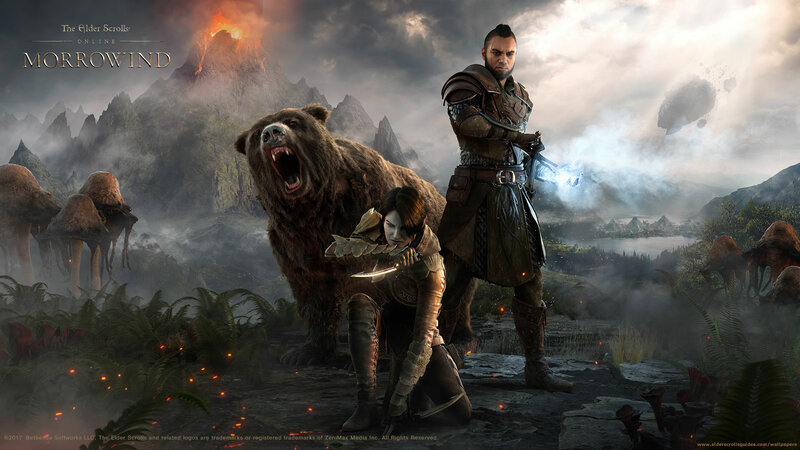 Watch the epic announcement trailer for The Elder Scrolls Online: Morrowind content update! At first glance, the Warden’s three skill lines appear relatively easy to identify (Animal Companions for damage, Green Balance for healing, and Winter’s Embrace for tanking), making them welcoming to newcomers and experienced veterans alike. The fact that the skill lines seem straightforward doesn’t mean that the Warden will be easy for you to play. In fact, the Warden’s abilities require various levels of finesse, featuring their fair share of skill shots or tricky, timed effects. For example, Scorch summons three Shalks in a straight line after a three-second delay. This allows you to pull off some big-time burst damage, but it also requires precise timing and positioning in order to execute. By comparison, Dive sends a shrieking Cliff Racer at a targeted enemy for some simple direct damage. In some cases, the amount of skill required to effectively use an ability increases after you have morphed it. While Fungal Growth simply requires you to look at allies to heal them, after morphing it to Soothing Spores, your heal strength is increased if they are nearby, meaning you’ll need to focus on positioning and team coordination to get the most out of it. Your Warden can be exactly as complex or as simple as you want it to be, and the new class permits a host of unique builds for various levels of play. Warden doesn’t necessarily bring anything special to any party, but as the first post-release class they are a popular choice. Their DPS builds make great use of pets, who are also quite useful in solo-play. If you’re feeling lonely your non-demonic companions are fun to hang around with. Two out of three Warden skill trees are focused on helping allies. While other classes usually have more restrictions in gameplay styles, Wardens can easily mix and match abilities from Winter’s Embrace and Green Balance to not only heal damage, but also prevent it. Personally I like Wardens because they’re the definite “nature” class, reminding me of Druids. While lore is rarely a reason for me to pick a class, in this case I definitely see the appeal. Templars will still remain a top healing choice, but Wardens with supportive roles should always be a welcome addition to any public dungeon or raid. And we can all agree there’s never enough tanks. Best part of Warden class is its versatility. Similar to Templars, Wardens can also spec into healing, DPS or tanking as needed and be quite successful in any role.